The Thomastown Lutheran Congregation (formerly known as Westgarthtown and actually in Lalor) celebrated the 150th anniversary of the dedication of its church building, which took place on 17 November 1856. 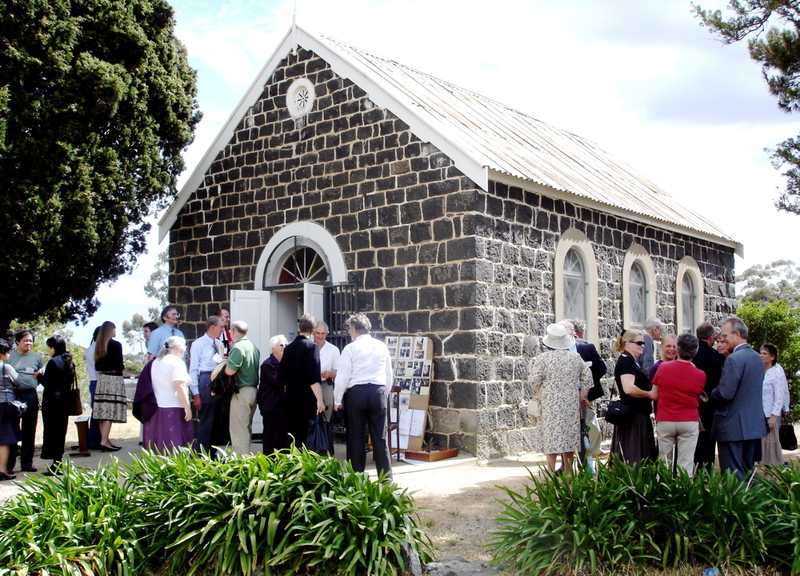 The only older Lutheran Church building is at Lobethal in South Australia. A Celebration Dinner was held on Friday 10 November at Calvary, Greensborough. Herbert Mees, Pastor Stephen Pietsch and Robert Wuchatsch talked on the history of the church and the relationship of Thomastown with the Trinity Lutheran Church East Melbourne and the Greensborough congregation respectively. Most of the pioneering families arrived in 1849 on the ships Godeffroy, Wappaus, Dockenhuden and Emmy and in 1850 on the Pribislaw and Alfred. William Westgarth assisted the pioneers during settlement and the 16 original land purchasers included Franke, Graff, Groening, Gruenberg, Heyne, Kawerau, Knobloch, Maltzahn, Siebel, Timm, Waehner, Wanke, Winter, Wuchatsch, Ziebell and Zimmer. Services were conducted in English after about 1930. In 1935, the choice was made to remain affiliated with Trinity in East Melbourne after this church joined the German Protestant Church Federation and was required to depart from the United Evangelical Lutheran Church of Australia (the UELCA). The post-war intake of refugees from Germany led to a re-introduction of services in German. In 1985, Thomastown affiliated with the Calvary congregation at Greensborough. Pastors Brett Kennett and Joachim von Mitzlaff were liturgists and Pastor Greg Pietsch’s sermon raised issues relating to the congregation’s heritage in relation to their daily living and their faith. A tasty afternoon tea at Ziebell’s Farmhouse concluded an enriching weekend.